You’ve heard the news: If your gums aren’t healthy, your body probably isn’t either. In fact, gum disease has been shown in study after study to be linked to health problems like certain cancers, heart disease, hard-to-control diabetes, Fibromyalgia, a compromised immune system… the list goes on and on. Just google it! We aren’t trying to scare you, but we do want to emphasize the importance of keeping your gums healthy with regularly scheduled cleanings and avoiding dry mouth, a condition that can really compromise the health of your gums. This is serious business. The bacteria present in plaque can inflame your mouth tissue, deteriorate your teeth and bone, and wreak havoc in your body. But don’t worry. 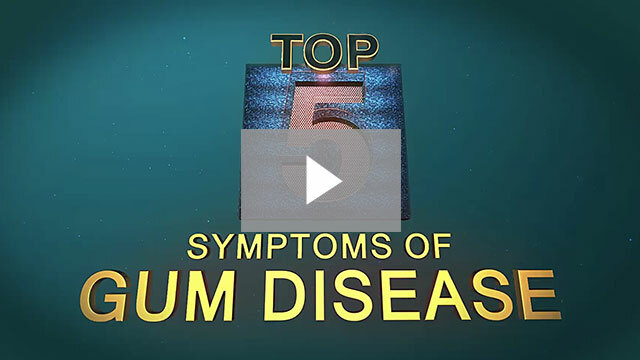 We have some of the most effective methods for treating gum disease available today. We start with a deep-cleaning method called scaling or root planing to remove plaque and tartar from teeth above and below the gum line. We may also use antibiotic therapy with Arestin. Arestin is composed of tiny micro spheres that can last inside the gum pocket for up to 21 days, effectively killing the bacteria that causes gum disease. If your gums bleed at all when you brush, floss, or eat, please contact us right away. We’ll get you back to health in no time! We offer a wonderful line of products – Periosciences – that both treats dry mouth and helps prevent gum disease.